'Tis the week for fowl play here in Humboldt. Bird freaks from near and far will descend on the county for the 2019 edition of the Godwit Days Spring Migration Festival, which runs from Wednesday, April 17 to Tuesday, April 23. The fest’s opening reception takes place on Friday night and will again feature keynote speaker Noah Strycker. Full tour listings on the Godwit Days website. Less feathery Wednesday events in your Lowdown listings below. 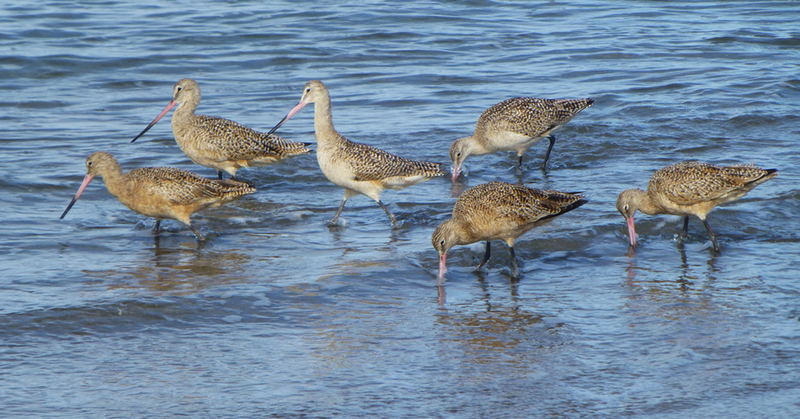 Humboldt County / 6 a.m.
Come celebrate the Marbled Godwit and explore the lush Redwood Coast. Observe many bird species and wildlife through our selection of field trips, lectures, workshops, and boat excursions led by experienced local guides during our annual week-long festival each April. Creating healthy habits with FOODWISE Positive interactions with food are fundamental in helping children recognize and accept a wide variety of foods. Hosted by Reel Genius, it's Trivia Night tonight! Come brave the elements and exercise your brain for prizes! "We help you hone your set, your wit, and your knowledge for a better presentation. Learn your strengths. Stifle your weaknesses. Practice writing with us!" Phatsy Kline's Parlor Lounge / 7:30 p.m.
Eureka's longest running comedy open mic. Hosted by Nando Molina, Jessica Grant and Josh Barnes. Were you just thinking, "Is there anyplace that has Dancehall Wednesdays?" Here it is!